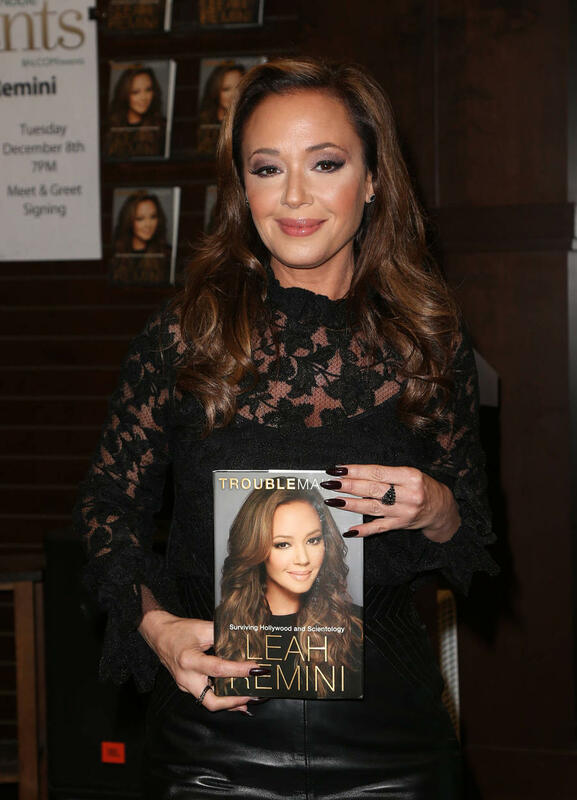 Leah Remini has dared the Church of Scientology to take legal action against her. The King of Queens actress was raised a Scientologist but left the church in 2013 after disagreeing with policies set out by leader David Miscavige. Leah has just launched a series on the church, titled Leah Remini: Scientology and the Aftermath, which gathers stories from fellow ex-members and former high-ranking Scientologists. Speaking during an appearance on the Dr. Oz show, which airs on Thursday (01Dec16), the 46-year-old challenged the church to take legal action against her. "You know, they’re just sitting there waiting to sue the c**p out of me, and I wish they would," she told host Dr. Mehmet Oz. "Why do I wish they would? Because they would have to be deposed, I'd have to be deposed, so we’ll get some real information out. "They won’t sue me, because they know that’s true. And they know that these stories are true, or they would have sued the c**p out of every single one of us." Prior to the show going to air, a lawyer acting for Leah alleged in a legal letter that the church wrote to cable channel The Arts & Entertainment Network ahead of the debut of her series, to try and get it pulled. Accordingly, Leah's lawyer is demanding the $1.5 million (£1.2 million) as "compensation for the past, present and ongoing reputational, emotional and economic injuries and damages (Leah has) suffered." A spokesman for the church responded to Leah's lawyer calling the demand for compensation, "nothing more than a provocative ploy to generate publicity for what will no doubt be another failed programme by a failed 'celebrity' seeking to make a buck off of her former religion," and added that "the Church will freely exercise its constitutional rights." The eight-episode docuseries had a huge premiere for A&E on Tuesday night (29Nov16), with the 10pm airing drawing 2.1 million viewers in total for the network - the biggest premiere since 2014. Leah’s departure came a few years after producer Paul Haggis' high-profile split with the church and just months after the publication of Lawrence Wright's Going Clear: Scientology, Hollywood, and the Prison of Belief, which served as the basis for Haggis' HBO documentary of the same name.